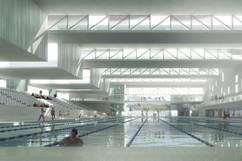 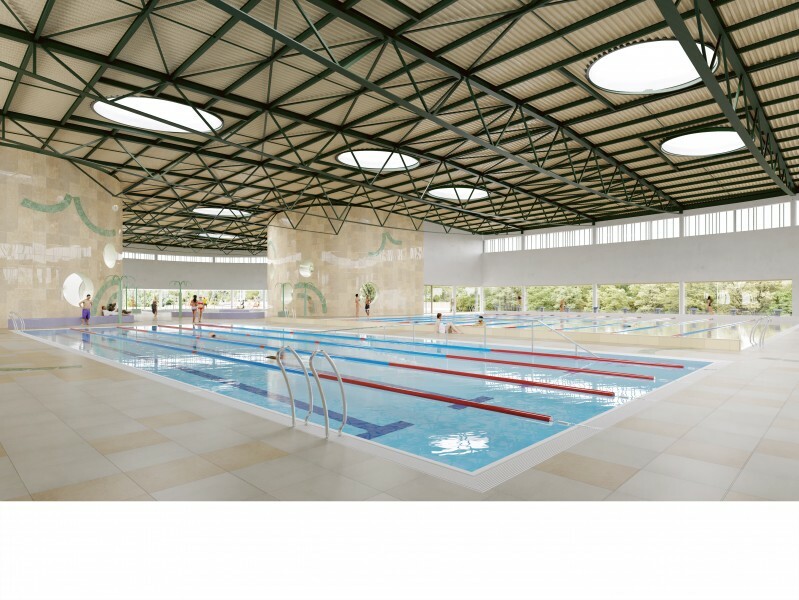 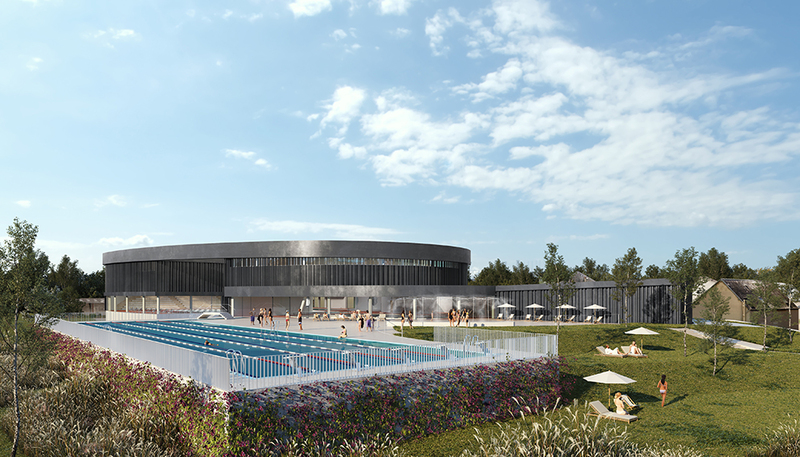 Châteauroux’s future aquatic centre is in a low-density former industrial district, on the edge of the Indre Valley looking onto a green, wooded landscape. From the raised concourse, the building is seen as a rising, swirling series of rounded volumes faced with thin wood strips that surround the swimming pools hall and form its ancillary and service areas. 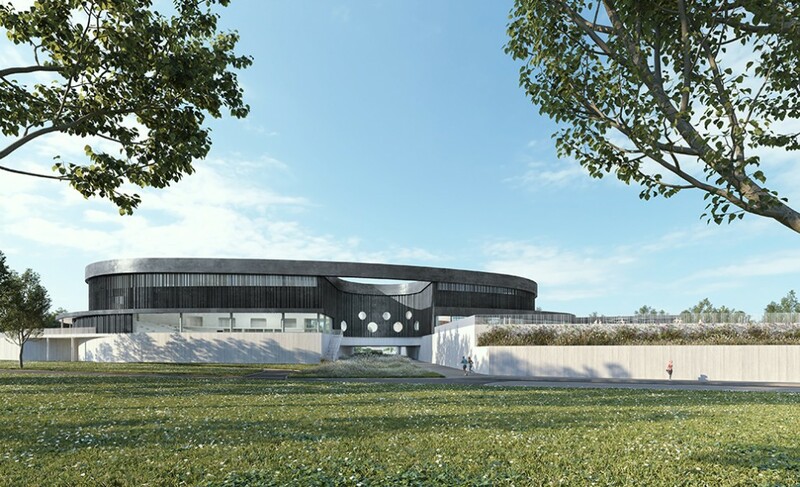 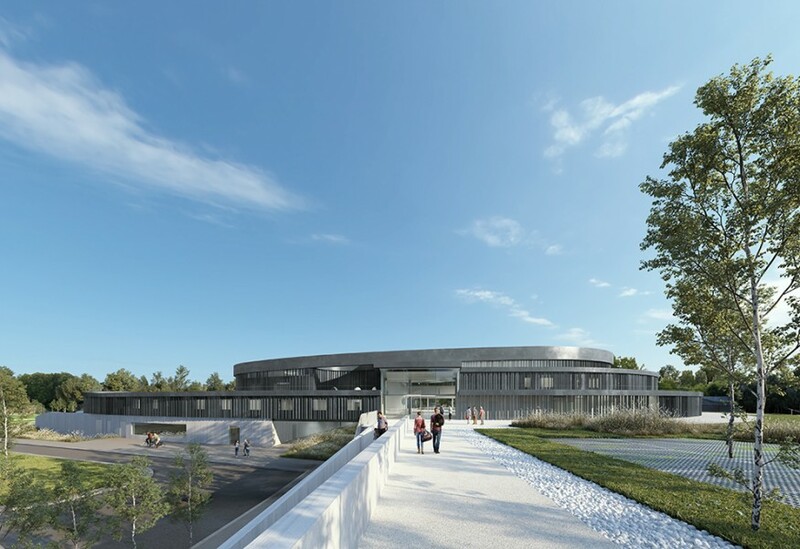 The concourse of the aquatic centre forms a large ellipse that prolongs the building to the south and the east, then goes down along a gentle, landscaped slope to reach the level of Avenue Jean Macé and connect the aquatic amenity to the existing campus. 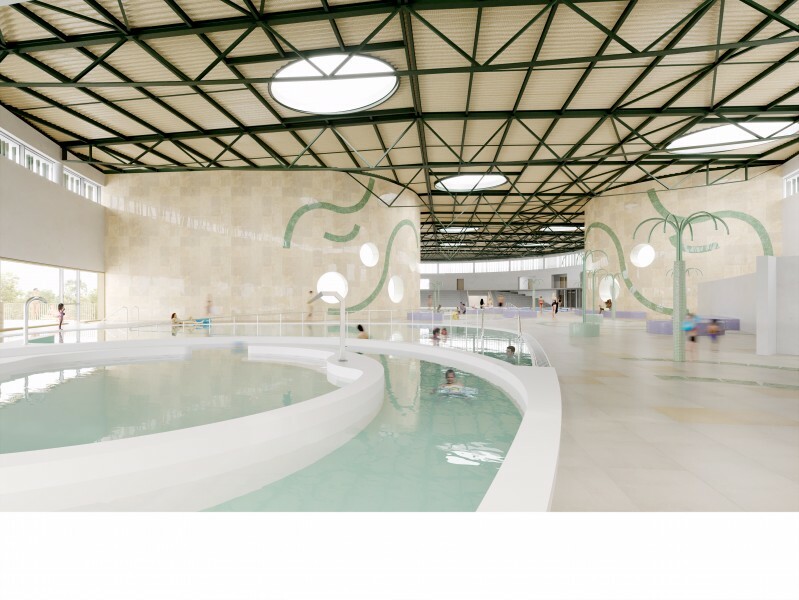 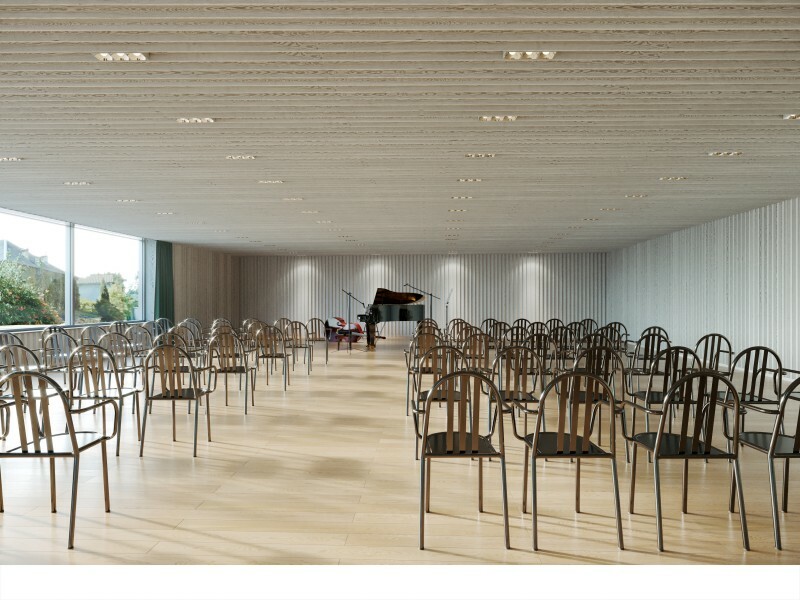 The swimming pools hall is a spatial continuum that allows special visual relations with the Indre Valley and transparency between the sports spaces, the leisure spaces and the solarium. 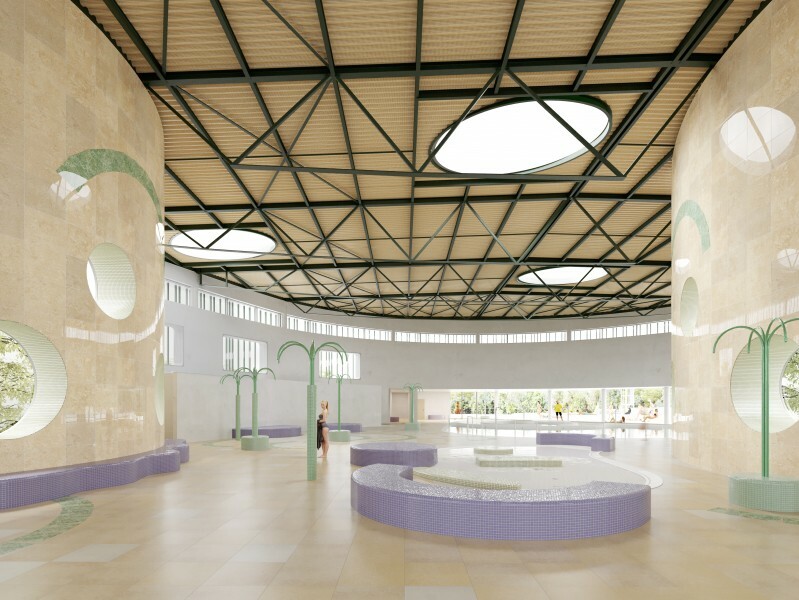 Bathed in light, it provides spatial and visual comfort, as well as symbiosis with landscaped outdoor solariums treated as tiered leafy dunes facing south-west. 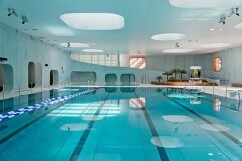 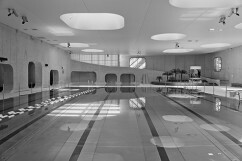 The ceiling has scattered large rounded skylight openings, floating above the pools like glass flying carpets.